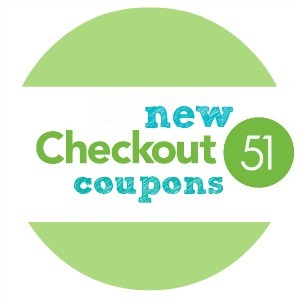 Here are the new coupons Checkout 51 released this week! There are some great ones for Kellogg’s Frosted Flakes and Apple Jacks and several for cleaning supplies. If you haven’t used Checkout 51 yet, it’s FREE to sign-up and it’s very similar to Ibotta! 1. Grab the item in the store this week. Feel free to use other coupons at the store too. 2. Come home and take a picture of your receipt. 3. Upload your picture to their website or using their app and you’ll get cash back added to your account! New coupons will be added every Thursday and they can be used throughout the week until the following Wednesday. These coupons will be good through Wednesday, 2/5. These can be regional, so check out your account to see what offers you have available.